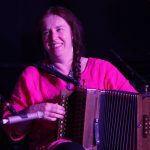 Katie is a traditional musician, researcher, writer and events organiser from Suffolk, England. 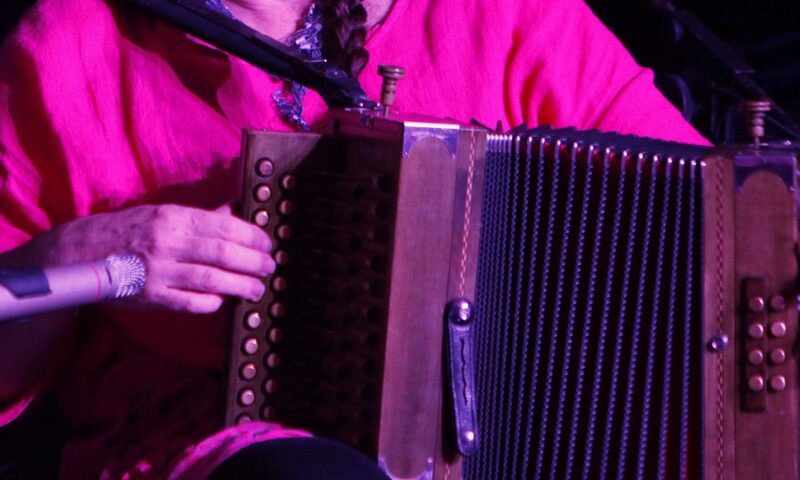 I play traditional music on the melodeon and harmonica. 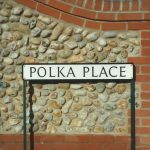 My musical education took place largely in the pubs of Suffolk as a young adult, where I learned much from an older generation of musicians. Since then I have spent most of my life either playing traditional music or passing it on to others in one way or another. Until October 2017 I was Artistic Director of the East Anglian Traditional Music Trust. I am now a freelance performer, tutor, researcher and animateur. 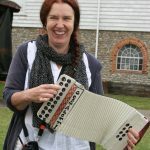 I started playing the melodeon whilst at university, teaching myself to play through listening to others. This was at a time when English traditional music was experiencing a renaissance and there was no shortage of exciting recordings and events to inspire me. 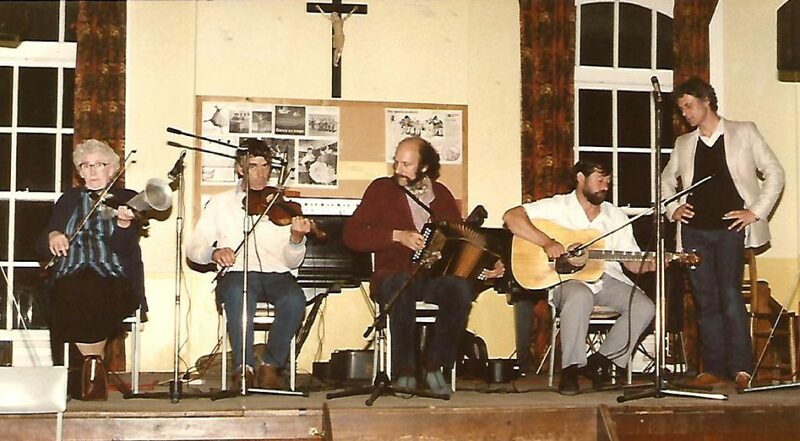 After moving to Suffolk in 1978, I spent many hours in pubs playing alongside traditional musicians and in 2000, with the founding of the East Anglian Traditional Music Trust, the music of my adopted locality became a huge focus for research and performance. I play and learn by ear. 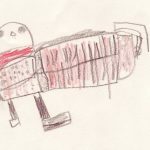 I love the fact that learning by ear opens up music-making to people from all walks of life and I have taught many people to play instruments and express themselves musically in this way. You can find out more about tuition opportunities, my music and bands on the relevant pages. There’s also a detailed CV on the biography page. In 2010, my husband John Howson and I were awarded the prestigious Gold Badge by the English Folk Dance and Song Society. You can read the EFDSS Gold Badge Citation here. 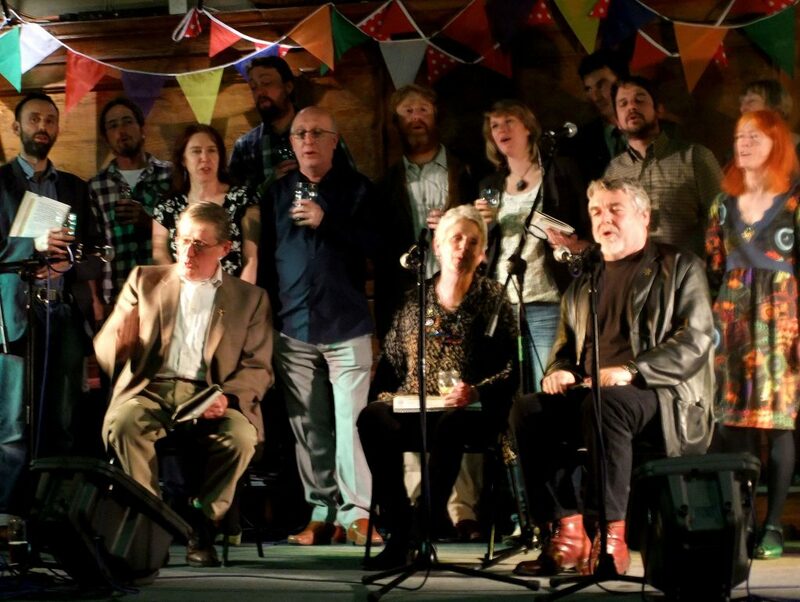 Here we are at Cecil Sharp House in Camden, on our Gold Badge day, singing a chorus with the Copper Family. Cecil Sharp House is the headquarters of the English Folk Dance and Song Society and home of the Vaughan Williams Memorial Library. 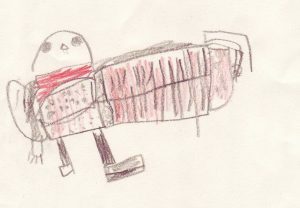 Here’s some occasional short blog posts, followed by some other news items at the end. Click here to see my gig list. 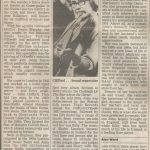 Old news is now archived here: 2018 news posts. You can now see the full programme of events for “I Looked East and I Looked West”. Details of the pub session trail will be found in the Souvenir Programme which should be available locally at Easter and can be picked up at the weekend. We can also post these out afterwards to anyone who would have liked to come to the weekend but couldn’t manage it. Details tbc. Some single-event tickets have just been released in advance – details here. There are still a few full day tickets available. Advance ticket sales will be available online until 6pm on Thursday 25th April unless we sell out before that. After that we can’t process them as we don’t have a mobile box office and we’re only human! The “Suffolk Premiere” (!) 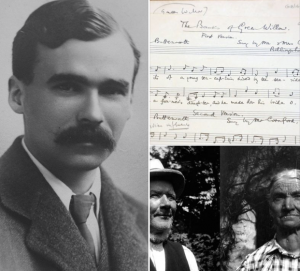 of the George Butterworth film “All My Life’s Buried Here” is at Aldeburgh Cinema on Sunday 5th May at 4pm and I’ll be talking about his folksong collecting in the area afterwards. Tickets here. Scroll down to February’s news for more about the film. 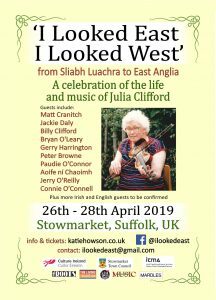 “I Looked East and I Looked West”, our weekend festival celebrating the life and music of Irish fiddler Julia Clifford is coming up on 26th-28th April, in Stowmarket, Suffolk, and there are lots of exciting developments. 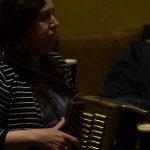 We have just sold out of tickets for the Saturday evening , but there are many more events on over the weekend, with an absolutely exceptional line-up of traditional musicians from the west of Ireland coming over to join the celebrations. It’s a one-off event with opportunities to listen, dance and play. 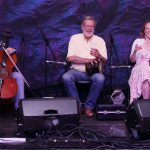 A new film about folk song collector, composer and dancer George Butterworth has just been launched. Called “All My Life’s Buried Here” it charts Butterworth’s life and work until his death on the Somme aged just 31. Featuring wonderful singing and music and interviews, including yours truly, as I researched some of the collecting trips he made in East Anglia with Vaughan Williams in 1910/11. The film premiered to great acclaim at the British Library on 27th January and has public screenings coming up in Leicester, Diss and Lewes. Full details on the film’s website. I will be attending the Q&A session after the screenings in Diss Corn Hall on 27th February. If you’d like to know more about Butterworth’s folksong collecting in the eastern counties, and the singers he collected from, I have just updated my research about his 1911 trip to the Diss area in south Norfolk and published it here. Further information about his collecting trips in East Anglia with Vaughan Williams is available on the East Anglian Traditional Music Trust website. Next to be updated is the trip the made to Southwold in 1910, which I will be working on in preparation for the next screening in East Anglia, which is at Aldeburgh Cinema on Sunday 5th May at 5pm. Again, I will be attending the Q&A session after the screening. Come and here about the REAL Ben Hurr! PLUS … not one, but two public Valiant Dance Band gigs coming up! 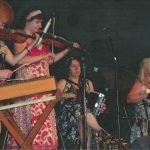 First up is the Ceilidhs on the Move at Clopton Village Hall near Woodbridge (IP13 6QN) on Saturday 16th February, with Nikki Acott calling an interesting selection of dances. 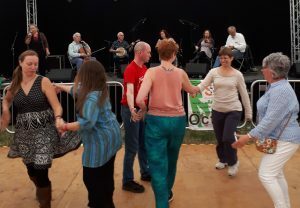 Then we’re back at the always lovely Norfolk Ceilidhs at the John Innes Social centre on the outskirts of Norwich (NR4 7UH) on Friday 8th March with caller Mary Panton delving into her store of unusual dances (pictured on the left with the Valiant Dance Band, Towersey 2018). 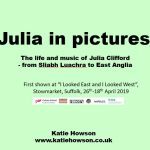 Great news to start the new year: we have received confirmation of some grant funding from Culture Ireland, an organisation which facilitates visits by Irish performers to other countries, for our Julia Clifford memorial event I Looked East and I Looked West. We’re delighted to have their support, alongside other established English events such as Return to Camden and Birmingham Tradfest. Later in the month we heard that Stowmarket Town Council are also backing this event, so big thanks to both organisations! Tickets for I Looked East and I Looked West are on sale now – here’s a quick link to the section of this website about the event. We’re organising this event completely independently and would encourage you to buy your tickets as soon as possible, or consider making a donation, so that we can ensure it all runs according to plan. It’s a one-off event, so if you miss it … you miss it! 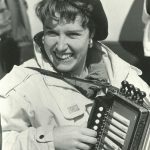 Lots of old photos of Julia Clifford surfaced from a variety of people, including this wonderful one of her playing with Tony Hall – whizzo English melodeon (accordion if you’re Irish) player – for a ceilidh at Notre Dame High School in Norwich with Tony and Chris Morley; two on the right unknown. Thanks to Chris Morley for the photo. A long drawn out project finally reached fruition last summer. Some years ago Pat Pickles who had, with her late husband Rennie, written a book about the history of jig dolls, asked me to work with her on a new edition. The task was a long one, with the revision turning into a whole new edition, with many many extra photographs and pages and pages of additional information, including whole new sections of my own research. It was very much a joint venture and I am only sad that Pat wasn’t really able to appreciate its eventual publication, as, sadly, her health took a serious turn for the worse a couple of years ago. 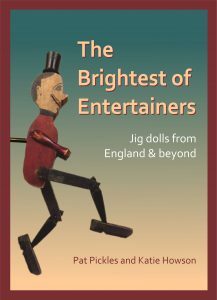 The Brightest of Entertainers is on sale from the East Anglian Traditional Music Trust by post or from me in person, price £11.00. Dartmoor Folk Festival, South Zeal, Devon. 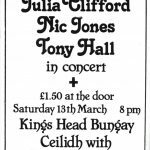 Went to the first one in 1978 and although I’ve missed a few, it’s a fixture in the diary, especially for the stepdancing and the Orchard family’s sessions. 9th-11th August 2019. Willie Clancy Summer School, Miltown Malbay, Co. Clare. 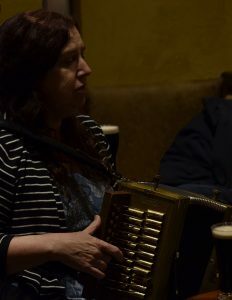 Been going to Miltown for donkey’s years, but only to the ‘Willie Week’ in more recent years, when I have been honoured to take part in the harmonica recital. 6th-14th July 2019. Meanwhile, the East Anglian Traditional Music Trust continues under the new management of David Cain. EATMT has had a period of upheaval recently but is regrouping and looking forward to a revitalisation in 2019. 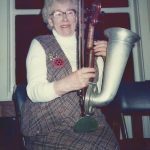 Having spent 17 years setting up and running the East Anglian Traditional Music Trust, there are a lot of links from here to that website. However, the EATMT website is in the process of being rebuilt and some pages may be temporarily unavailable. Ca n’est pas en France, mais en Suffolk! Click on the thumbnail to see the whole image. You can email me at katie.howsonatgmail.com (just change the word at for the symbol @). If you want to contact me concerning a ticket order for “I Looked East and I Looked West” please email me at ilookedeastatgmail.com (just change the word at for the symbol @).